Please note: these are FREE but ticketed sessions. Tickets will be available to collect in-store one hour before each class. Please arrive early to avoid disappointment. Spaces are strictly subject to availability, with priority given to those who’ve not yet attended other taster sessions on the day. This is a promotional event and your consent for photos will be requested. If you can’t make it this time, don’t worry! Sign up for our newsletter and we’ll keep you in the loop for future events. You can also follow the event on Facebook and the hashtag #happitylittlechristmas. 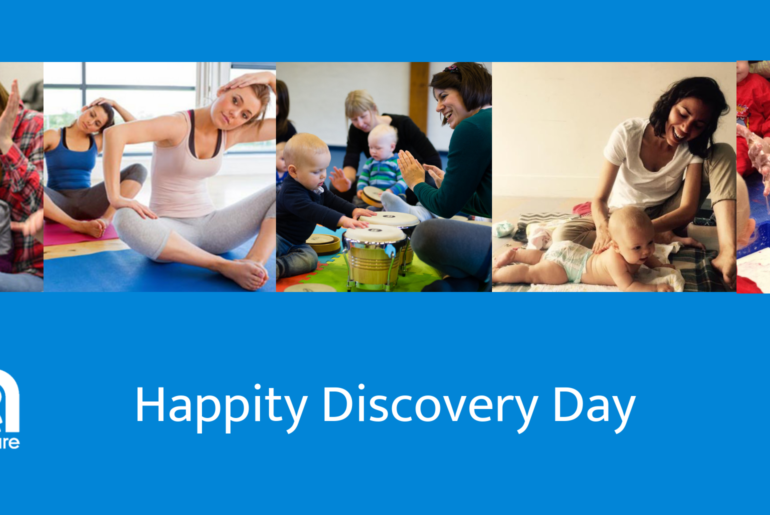 Visit happity.co.uk and enter your postcode to find your nearest baby and toddler classes. Your baby is busy listening and observing you from a young age, and may start using gestures like waving hello and goodbye from as young as 7 months. Learning to sign with your child can help them communicate simple words like ‘milk’, ‘more’ and ‘tired’ before speech! Sing & Sign is one of the UK’s most established providers of baby signing classes with over 700 locations across the country. They also have a range of books, CDs and DVDs to help you practice at home. 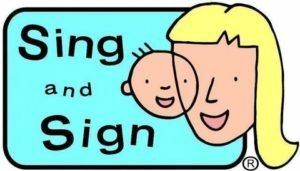 Sing & Sign will host free taster sessions suitable for pre-walking children at Mothercare Basildon, Mothercare Romford, and Mothercare Greenwich. Check session times. With a range of language games, action songs and stories, TinyTalk offers classes for both babies and toddlers helping them to develop their communication skills from birth. They host over 500 classes a week, and are looking for practitioners to join their team. 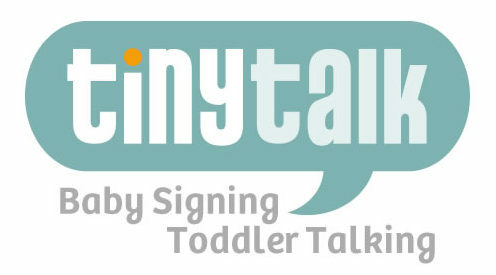 A free TinyTalk taster session will be held at Mothercare Edmonton, suitable for children up to the age of 2. Session at 12.45pm (tickets from 11.45am). Stimulate your baby’s senses and help them to develop with a sensory play class. Using light, sound and textures, they provide a wonderful close bonding experience. Take your child on a magical, musical adventure with Hartbeeps! Using a soundtrack of original songs, remixed nursery rhymes and lullabies, you and your little one will go on a sensory sound journey. Hartbeeps provides a range of classes for newborns to pre-school, incorporating massage, yoga, sensory and imaginative play. Free Hartbeeps taster sessions will be held at Mothercare Hayes, Mothercare, Basildon, Mothercare Romford, and Mothercare Greenwich, suitable for pre-walking children. Check session times. Music and movement classes are enjoyed by children of all ages! If you’ve not recently swotted up on nursery rhymes, these are a wonderful way to learn action songs that you can do at home. Incorporating a wide range of props and activities, there are many different national and local class providers, each bringing their own unique flavour to their classes. Boppin’ Bunnies provides unique baby music classes led by professional musicians on real instruments. Join Natalie on her trumpet in this engaging taster class designed for babies and their siblings. A Free Taster Session suitable for under 4s will be held at Mothercare Greenwich. Session at 10:30am (tickets from 9.30am). Jo Jingles offer fun, exciting and educational music and movement classes for babies, toddlers and pre-schoolers. With age specific classes, Jo Jingles provides the perfect opportunity to spend quality time with your child, whilst capturing their imagination and using a wide range of percussion instruments. Free Jo Jingles taster sessions suitable for under 4s will be held at Mothercare Basildon, Mothercare Romford, and Mothercare Edmonton. Check session times. The Monkey Music curriculum is designed to help young children learn musicality and prepare them to learn an instrument. In this taster session, babies and young children can explore fascinating sounds, play different percussion instruments, move to the music and have a lovely bonding experience with their carer. Free Monkey Music Taster Sessions will be held at Mothercare Hayes and Mothercare Edmonton. Check for session times and age range. Get fit with this award-winning fun dance class with your little one in a sling / baby carrier! A Sling Swing Taster Session will be held at Mothercare Hayes at 12.15pm (tickets from 11.15am). Please note – you must have had your postnatal check before attending this class (c. 6-8 weeks). Post C-Section mums must be at least 12 week postpartum. 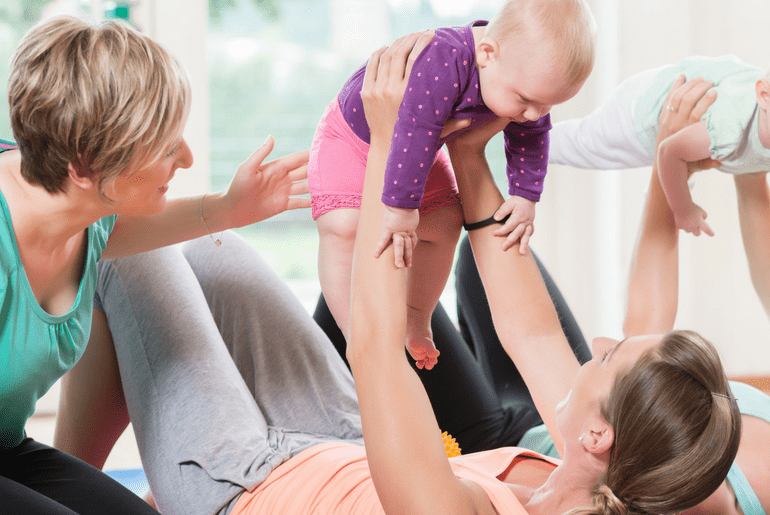 BusyLizzy is a parenting club offering a wide range of classes and events, including postnatal fitness, yoga, music & movement and baby signing. Offering ultimate flexibility, members pay a monthly subscription fee and book into their choice of classes as they go. Busy Lizzy will be hosting a taster baby massage session at Mothercare Hayes at 11am (tickets from 10am). Human touch is the greatest healer. Practice relaxation techniques and discover the benefits of baby massage in this session led by an IAIM Certified Instructor. The International Association of Infant Massage (IAIM) is the largest and longest standing worldwide association solely dedicated to baby massage, providing training and certification to course leaders. Taster sessions suitable for babies under the age of 1 will be provided by Vikki’s Space Baby Massage at Mothercare Greenwich, and Emma from Baby Massage Hornchurch at Mothercare Romford. Check session times. Find your nearest IAIM Certified Instructor. 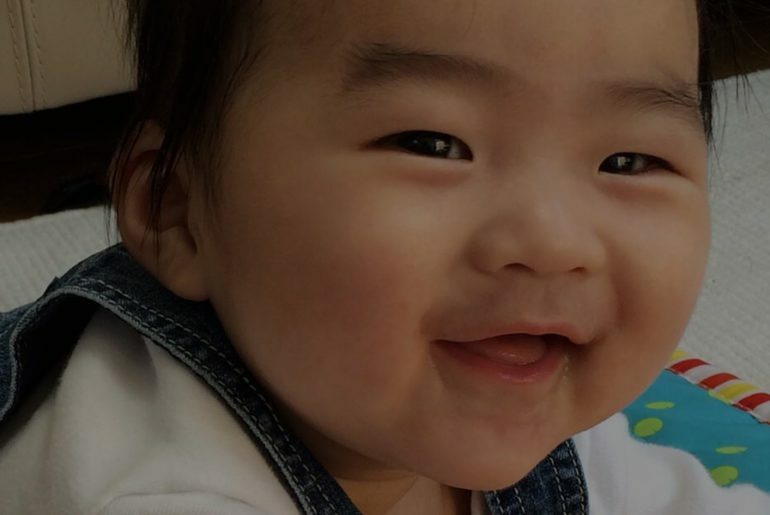 No matter what type of baby class you’re interested in, Happity is the fastest way to find out what’s on for babies and toddlers in your local area. With over 5000 classes for under-5s in London, and no download or registration required, search for your nearest baby groups by postcode, day of the week, age and more. View your results on a map, see the timetable for your favourite venue and book your space in advance. 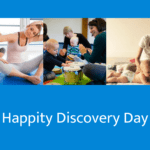 Happity has been designed by talented mums, for parents just like you. Grew 2 humans in my tummy. Maker of Happity.